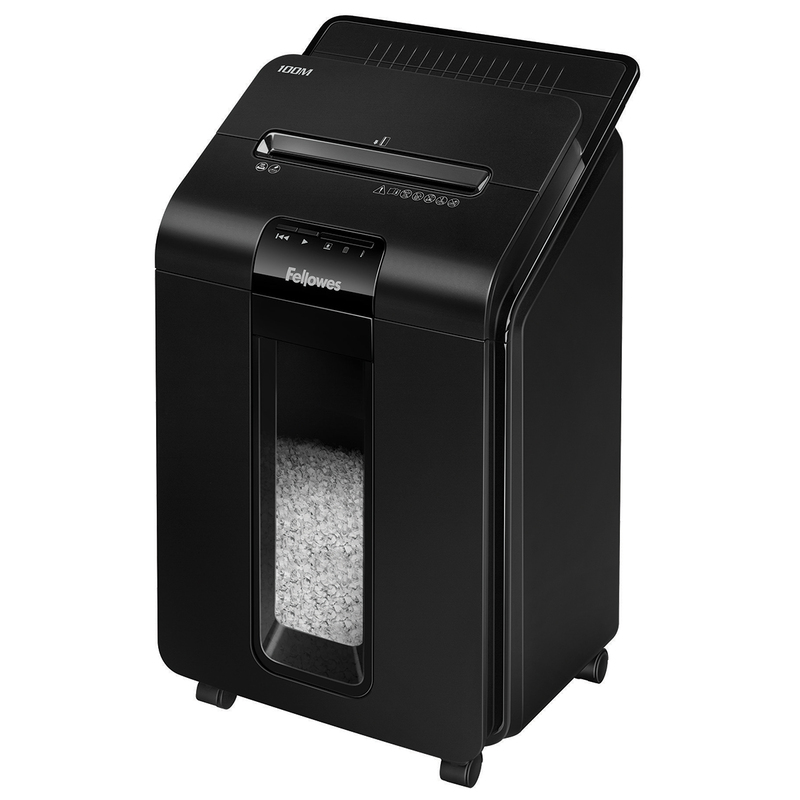 This Fellowes AutoMax 100M hybrid shredder provides effective document destruction with either single sheet automatic feeding or standard manual feeding. With a P4 security level, the mini-cut shredder shreds into 4 x 10mm particles, which is up to 4x smaller than standard cross cut shredders. The shredder has a 100 sheet automatic and a 10 sheet manual shredding capacity with a 15 minute run time. The shredder also includes a large 23 litre pull out bin for easy emptying.